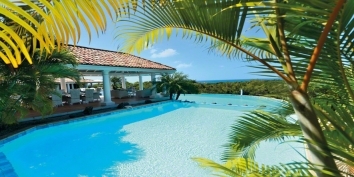 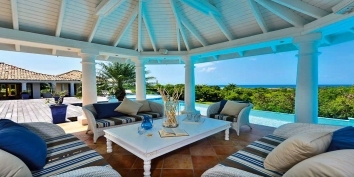 A gorgeous 4 bedroom villa with one of the largest swimming pools on the island and stunning views! 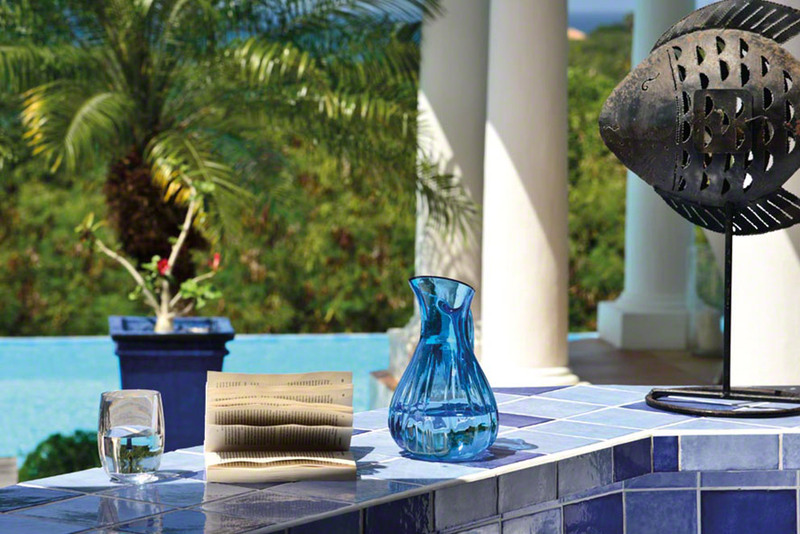 Bleu Passion is back! 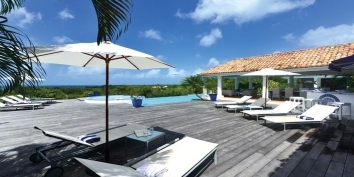 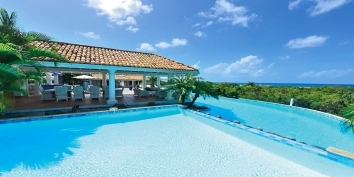 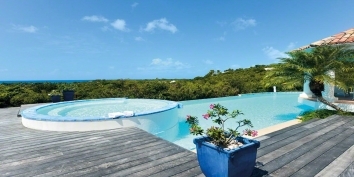 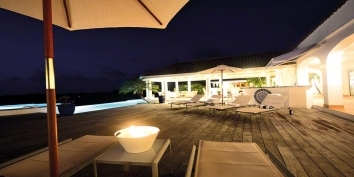 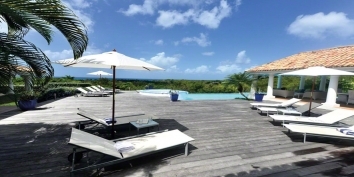 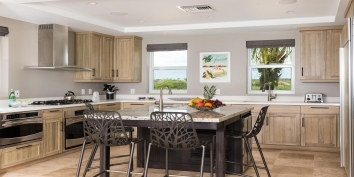 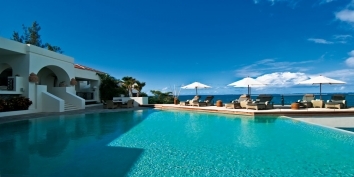 After years as a favorite Saint Martin vacation home for many, many, very happy guests Bleu Passion villa was sold and removed from the rental market in 2012. The new owners spent 12 months improving on what was already an incredible holiday home, and now we’re very happy to announce that the property is available for rent once again. 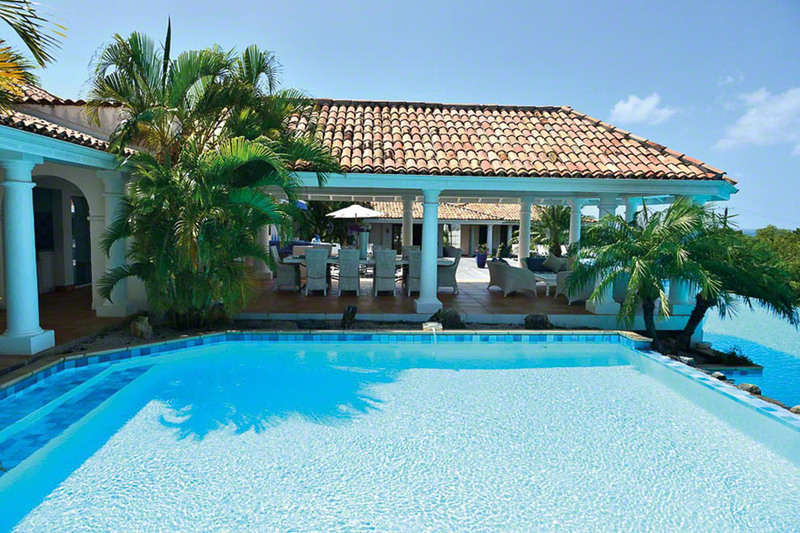 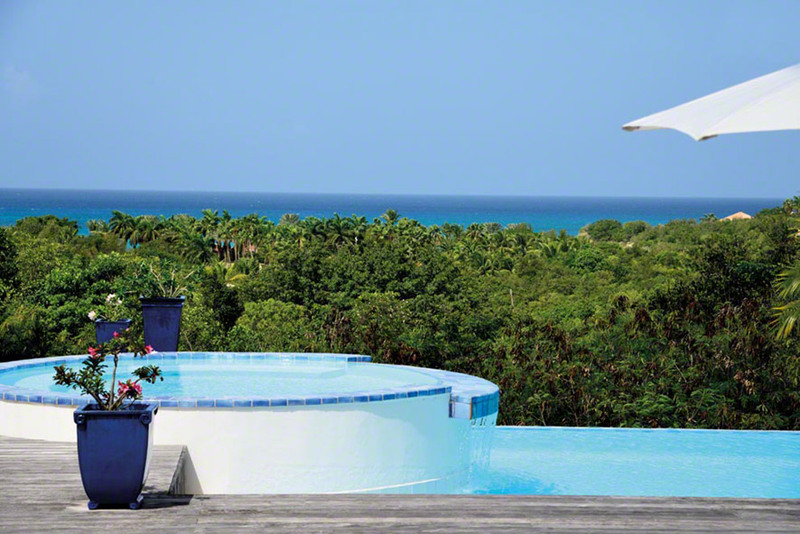 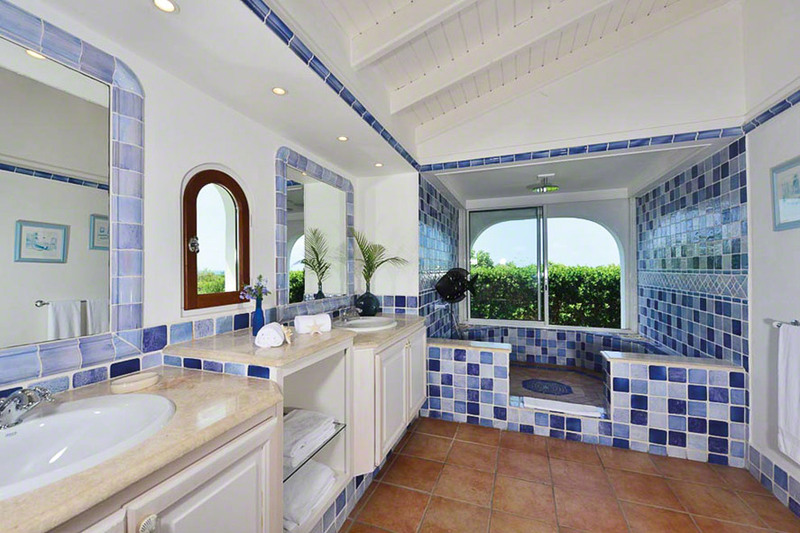 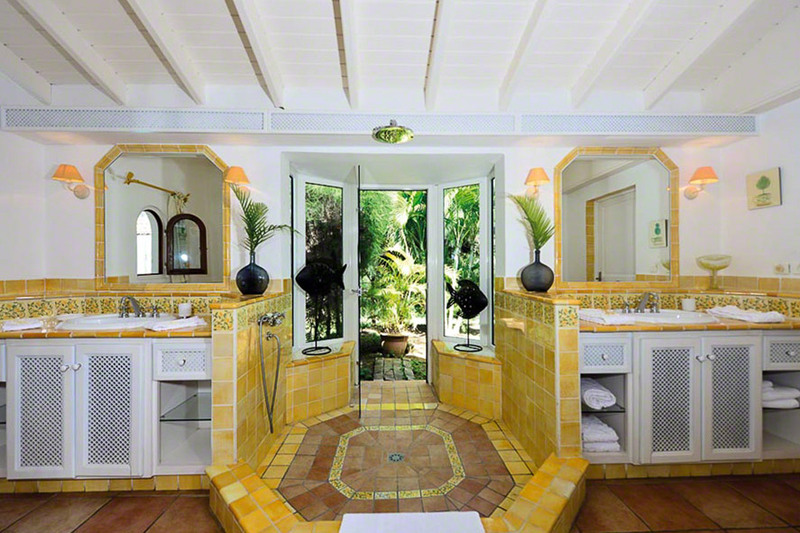 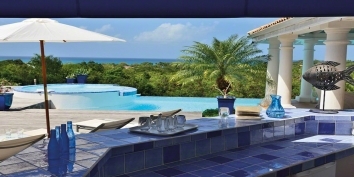 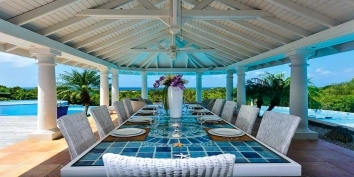 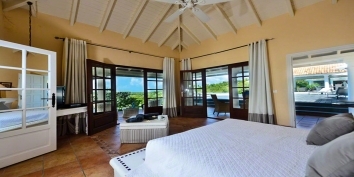 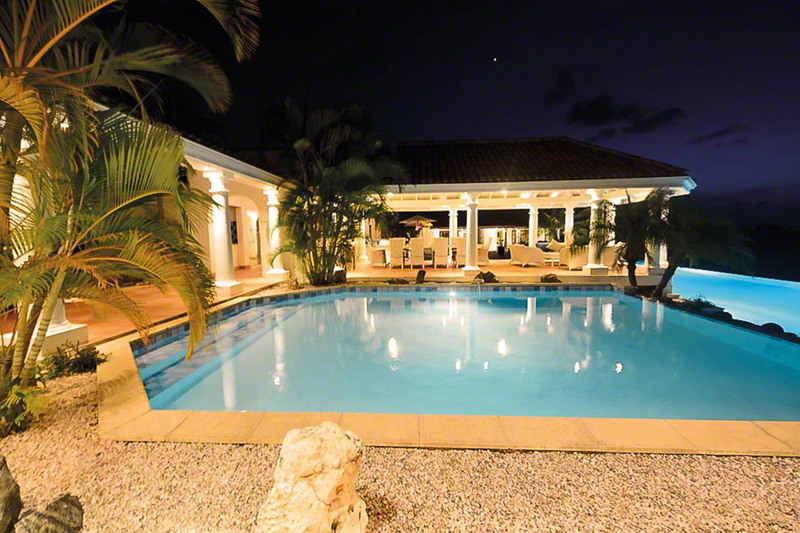 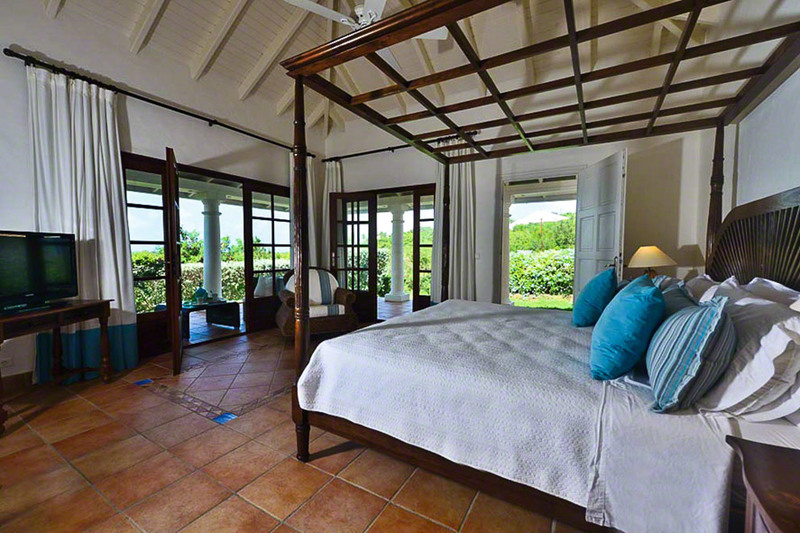 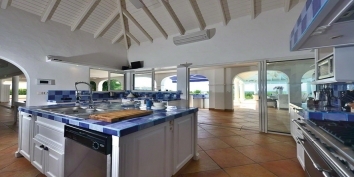 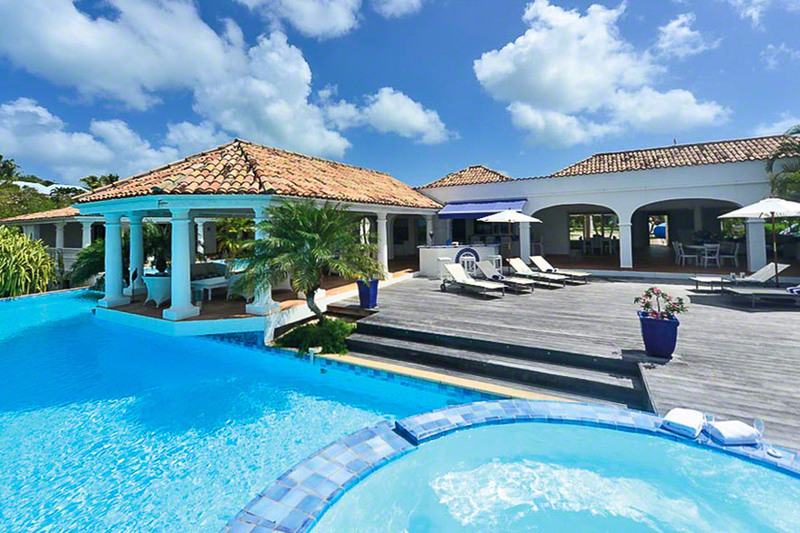 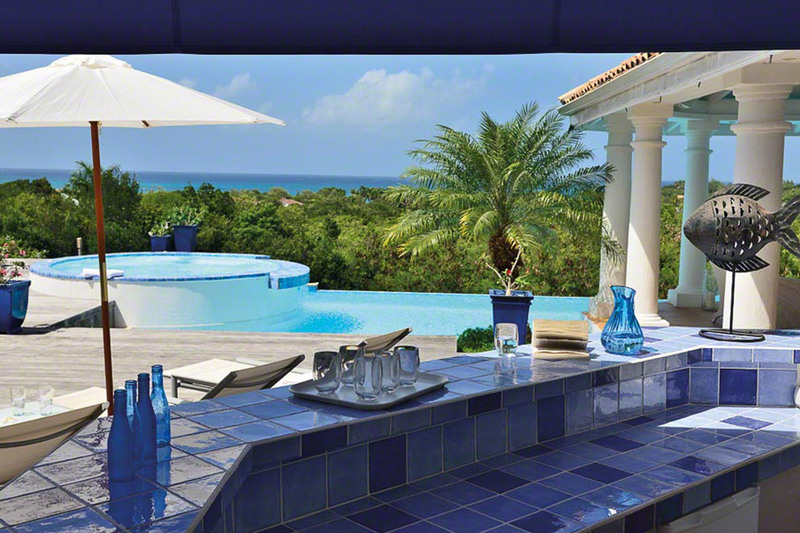 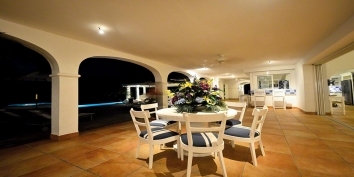 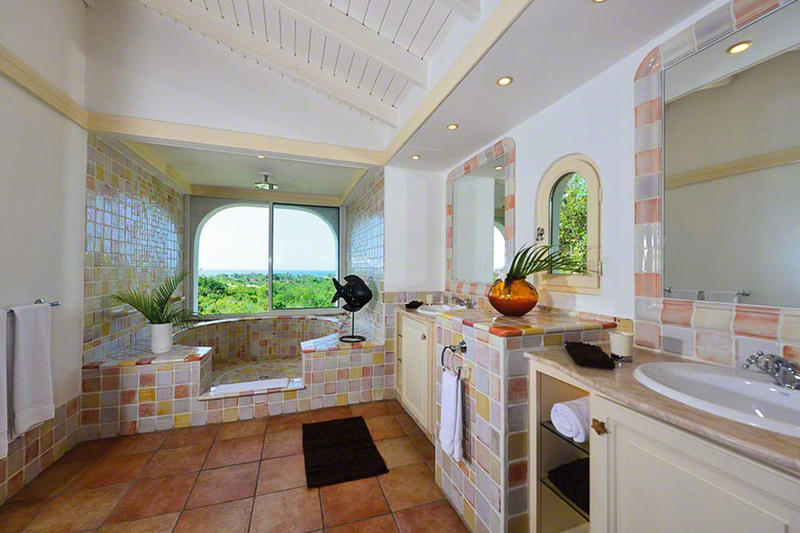 With that said, Bleu Passion is the perfect Caribbean villa rental home for 4 couples or families alike. 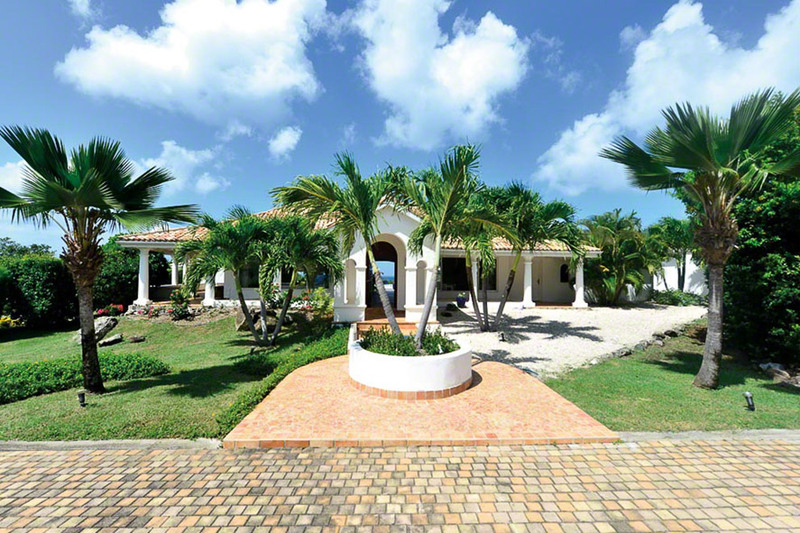 As you drive through the gate the circular drive brings you to the front of the villa and you immediately feel like you’re in your own private world. The front door opens into the living room with views through sliding glass doors to the terrace, pool, and Caribbean Sea in the distance. 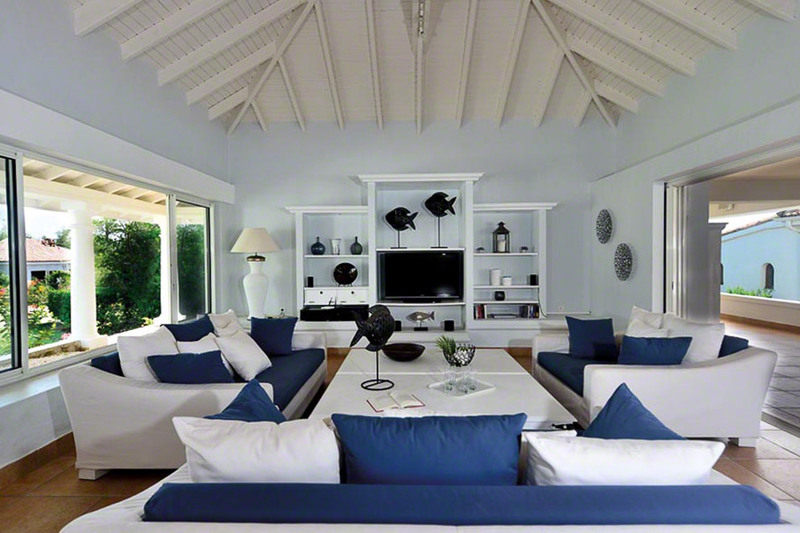 The living room is a comfortable (air-conditioned) spot to hang out, watch TV, read a book, or chat with friends and family. The fully equipped kitchen (all new tiles in 2013) is off to the right and also opens directly onto the terrace. 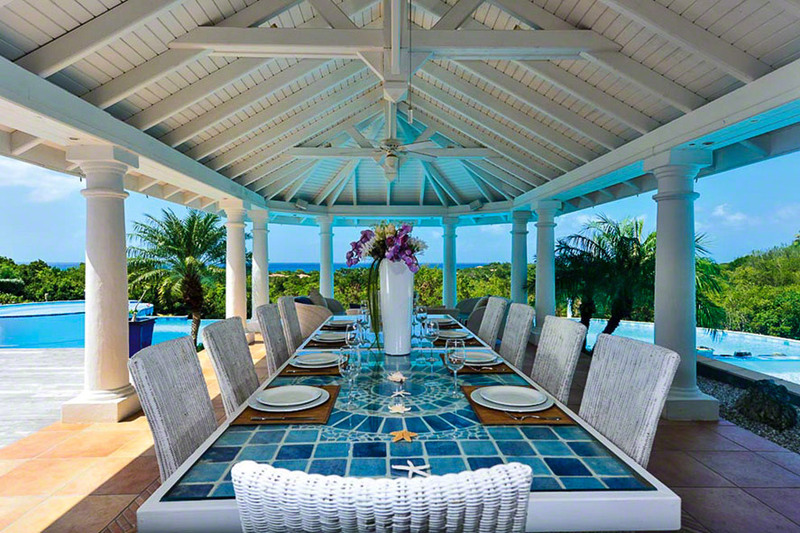 There’s nothing like cooking with a view. 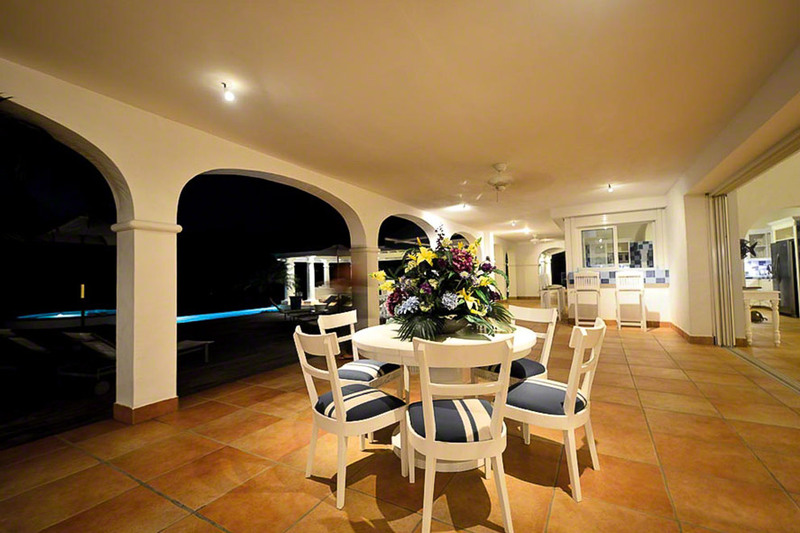 The very large terrace is bordered by two bedrooms to the left, the living room and kitchen in the middle, and two more bedrooms to the right. 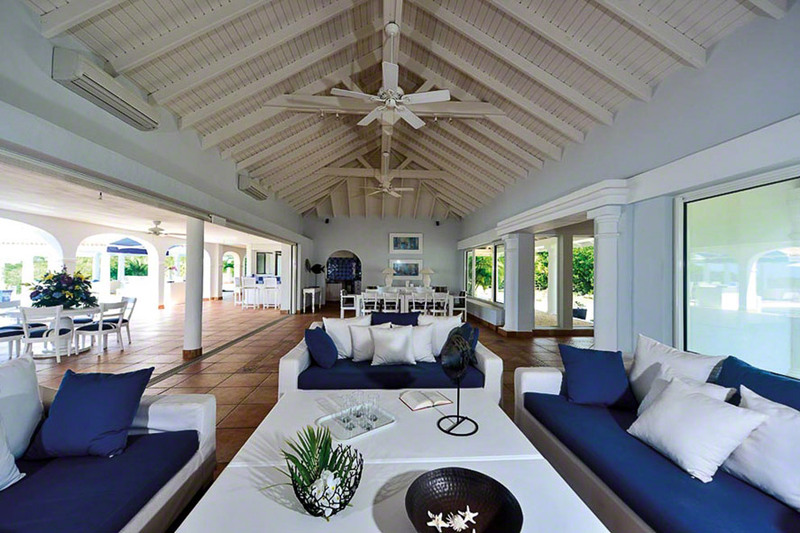 There is a large covered living area by the pool’s edge that will most likely be your home base for the duration of your stay. 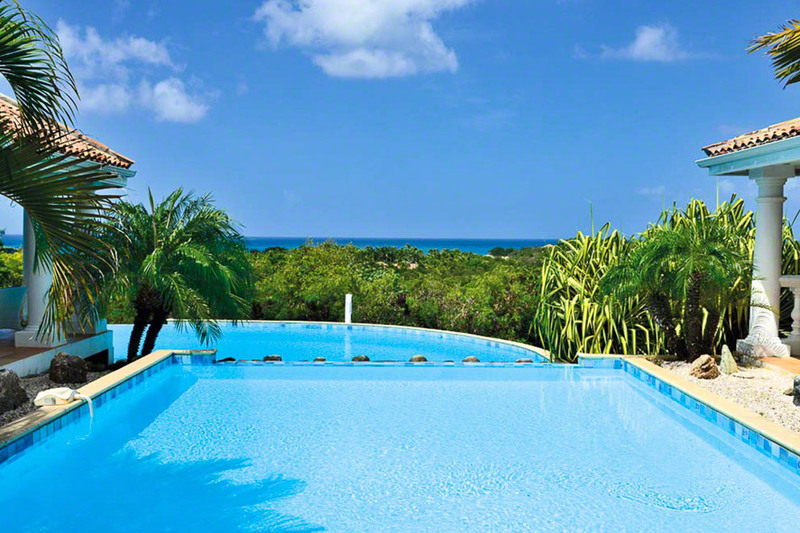 The pool is one of the largest on the island with a shallow area for children spilling into a large lap-sized pool with partial infinity edge. 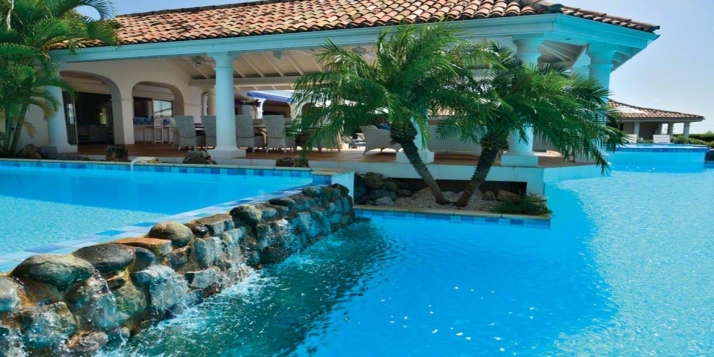 Bleu Passion also has a terrific whirlpool (not heated) perfect for massaging sore muscles from a long day of relaxing on one of the 5 nearby beaches (less than a 3 minute drive to the closest beach, Plum Bay). 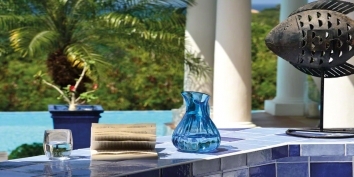 The new and improved Bleu Passion awaits you and your guests on your next visit to St. Martin. 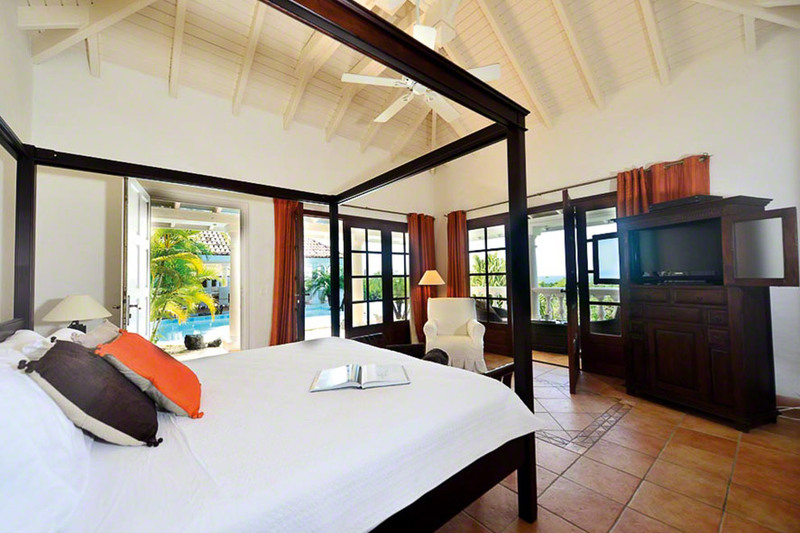 All four bedrooms feature a king size bed, TV & Satellite, dressing room, air conditioning & ceiling fan. 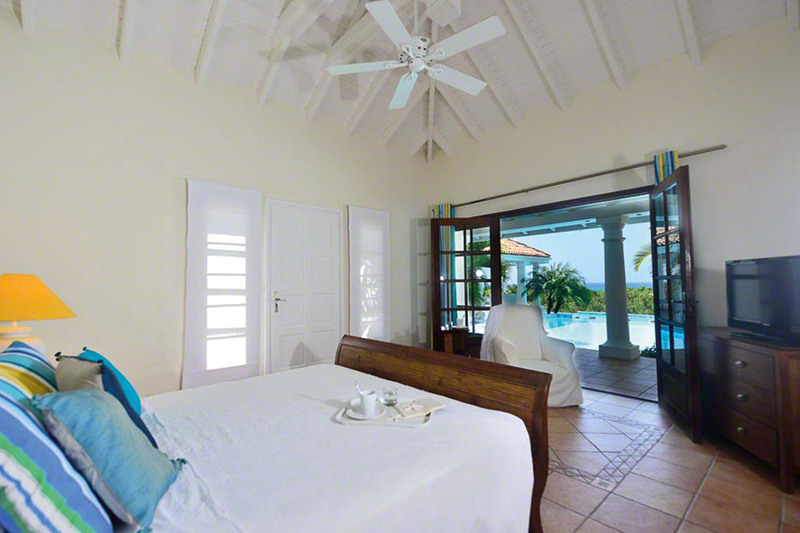 Contemporary furniture, TV, DVD, CD/tape, air conditioning & ceiling fan. 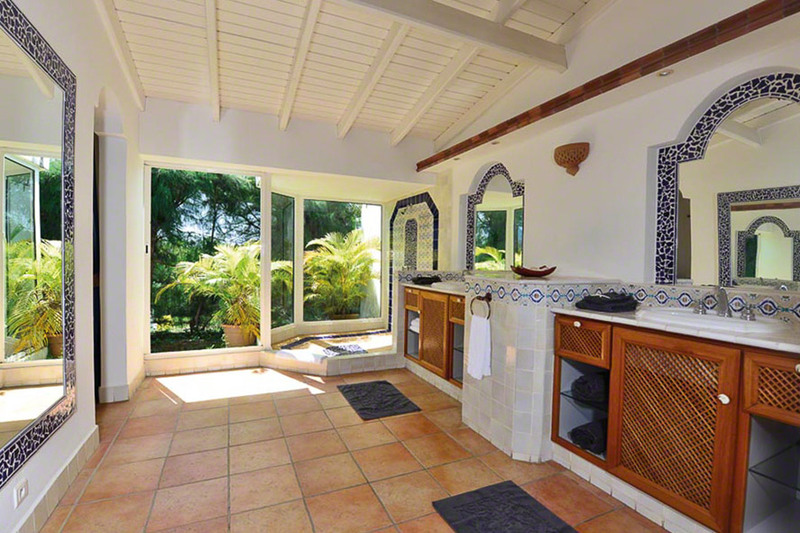 • To Beach: Short 2 minute drive to Plum Beach. 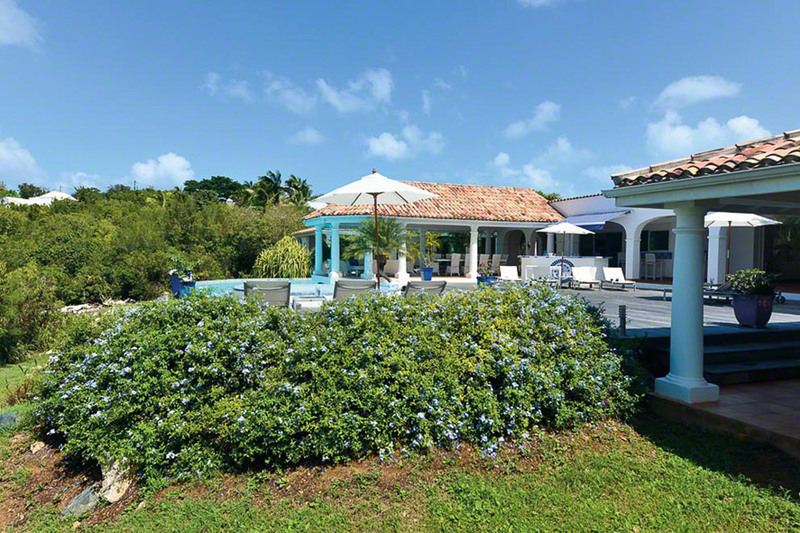 Google Map showing the approximate location of villa Bleu Passion.